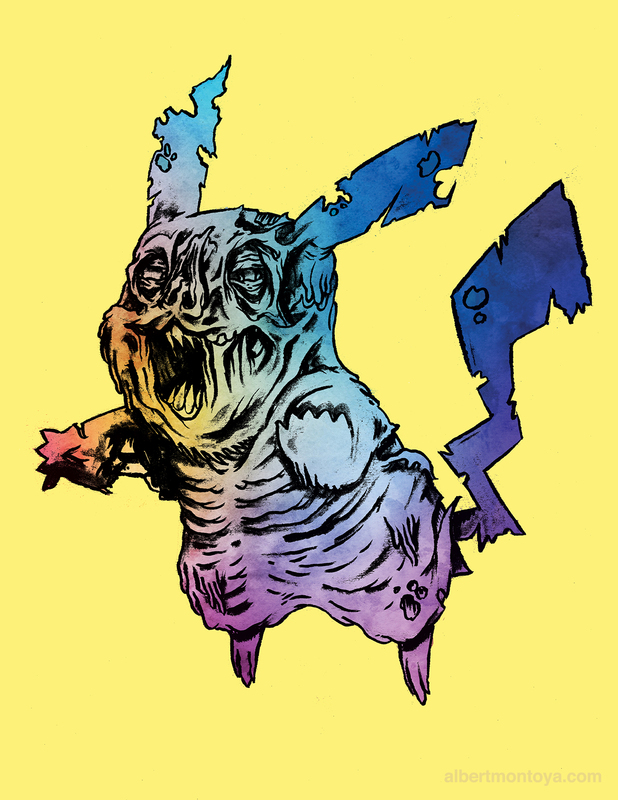 New Pokemon - Pikachu Pokemon Z illustration (Zombified). New Pokemon: Pikachu (Japanese: ピカチュウ?) aka “Zombachu” are a species of Pokémon, fictional creatures that appear in an assortment of video games, animated television shows and movies, trading card games, and comic books licensed by The Pokémon Company, a Japanese corporation. The Pikachu design was conceived by Atsuko Nishida and finalized by Ken Sugimori. Pikachu first appeared in Pokémon Red and Green in Japan, and later in the first internationally released Pokémon video games, Pokémon Red and Blue, for the original Game Boy.